My administration has started an effort to revitalize downtown New Philadelphia and return it as the hub for economic and social activity in the City. The electrical system that serves the four downtown quadrants has been repaired and upgraded to support the expansion of year round community events. 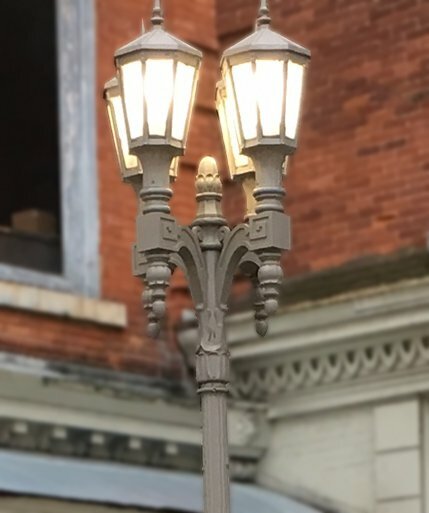 In addition, the City recently completed a successful American Electric Power Community Energy Savers program that resulted in the replacement of downtown street lighting with more energy efficient and brighter LED lights. New Philadelphia City Council has created a Community Reinvestment Area that includes the downtown Central Business District. Also I have formed a task force to explore the development of Downtown Redevelopment Districts, which would create tax incentives for property owners who renovate their downtown locations. Working in conjunction with downtown merchants and the New Philadelphia Business and Community Association, other initiatives are underway to make visitors and residents more aware of downtown parking locations and enhance the overall appearance of the area. For more information, please contact me at jday@newphilaoh.com or call 330-364-4491 extension 1242. © 2019 City of New Philadelphia - All Rights Reserved.